Hermes will be launching a new Apple Watch band on Nov. 24, available only from the fashion brand's boutiques, a report said on Wednesday. The "Equateur Tatoutage" design, by Robert Dallet, will also be sold in limited numbers, according to Vogue. 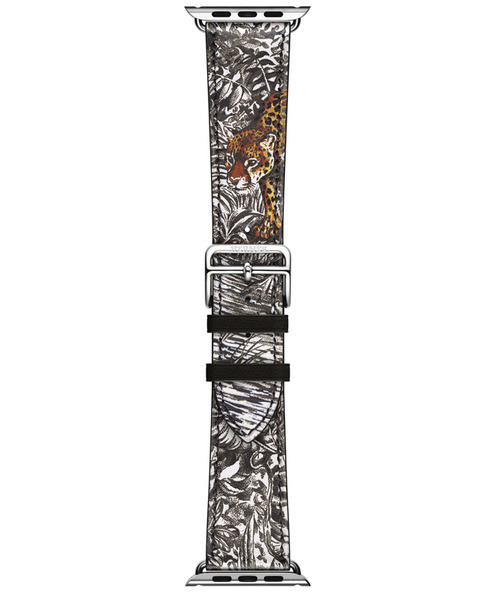 The band is based on the Simple Tour band already available to Watch buyers, but with imagery including a jungle pattern and a jaguar. It will cost 419 euros ($442), significantly more than the 349 euros ($368) for a regular Simple Tour —already one of the more expensive bands Apple offers. 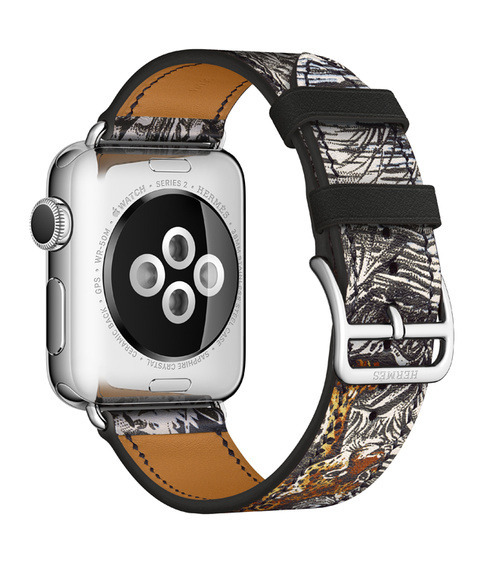 To date, Hermes is the only fashion brand Apple has partnered with on band designs. People can also buy the Apple Watch Hermes, though apart from band choices the only differences from a Series 2 are custom watchfaces.